New viral diseases are emerging continuously. Viruses adapt to new environments at astounding rates. Genetic variability of viruses jeopardizes vaccine efficacy. For many viruses mutants resistant to antiviral agents or host immune responses arise readily, for example, with HIV and influenza. These variations are all of utmost importance for human and animal health as they have prevented us from controlling these epidemic pathogens. 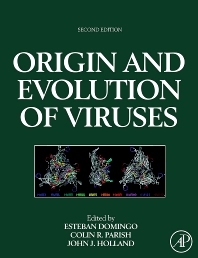 This book focuses on the mechanisms that viruses use to evolve, survive and cause disease in their hosts. Covering human, animal, plant and bacterial viruses, it provides both the basic foundations for the evolutionary dynamics of viruses and specific examples of emerging diseases. Esteban Domingo studied chemistry and biochemistry at the University of Barcelona, Spain and spent postdoctoral stays at the University of California, Irvine and the University of Zürich. His main interests are the quasispecies structure of RNA viruses and the development of new antiviral strategies. He is presently Professor of Research of the Spanish Research Council (CSIC) at Centro de Biología Molecular "Servero Ochoa" in Madrid.